Laptops aren’t always ideal for gaming, especially without spending more than $500. They’ll only be able to handle light gaming and not very well at that. So, it can be pretty hard to choose the best gaming laptop. Before we go any further, I have to tell you that laptops under $500 are not meant for gaming. None of them come with dedicated graphics cards and subsequently won’t be able to handle high-level (or even mid-level) gaming. Basically, spending $500 on a laptop is going to get you something that can run games on low settings, anywhere you want – as long as there is power. Like I said, you won’t be able to get a laptop with a discrete graphics card at this price, so expect everything on this list to have integrated graphics. 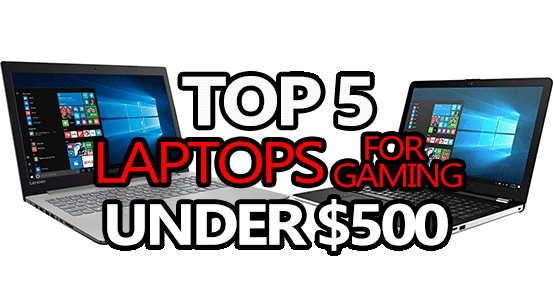 Let’s get down to our picks of the best gaming laptops under $500! We’ll start with the cheapest, most bare-bones laptop you can get for under $500 and from where we’ll work our way to the absolute best one you can get. Looking for something with a little more power? Check out the best laptops for gaming under $1000! You might find that spending just a little more is going to get you wayyyyy more power. The Acer Aspire E5-576-392H is a great entry-level laptop which works pretty good for gaming, and will allow you to do anything else you would want to do on a laptop. It’s the newest model of our #5 pick and packs quite a bit more power. 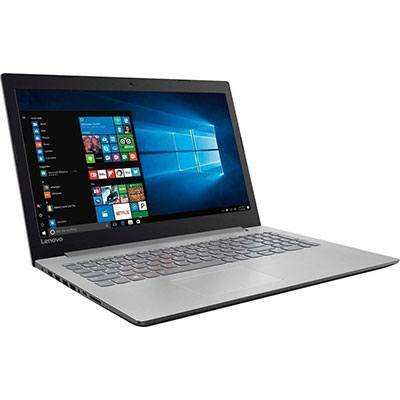 Featuring a powerful i3 8130u processor, 6GB of 1600MHz RAM and an integrated Intel UHD Graphics 620, this little laptop surprisingly only weighs 5.27 pounds but it still packs a punch and will run the majority of games on low-medium settings. Newer games, or games that are more graphically demanding will have some trouble running well (60fps) on this laptop. If you’re in the market for a kickass laptop in the $500 range that’s also going to work well for gaming, then the Acer Aspire E5-576-392H should definitely be on your list of considerations. 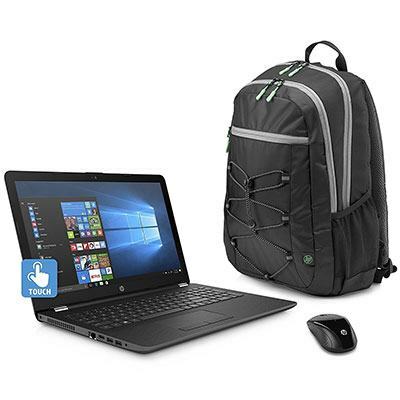 The HP HP 15-BW040NR is a great 15.6″ laptop for a student on a student’s budget who also wants to game out from time to time. It’s packing a powerful AMD A12 9720P processor that’s running Radeon R7 integrated graphics. It’s also boasting a solid 8GB of DDR4 RAM at 1866MHz which isn’t bad at all. It also comes with an okay backpack and a semi-decent mouse, so there’s that too! Like all laptops under $500, the one major limiting factor to this one’s gaming performance is the fact that it’s not running a dedicated graphics card. 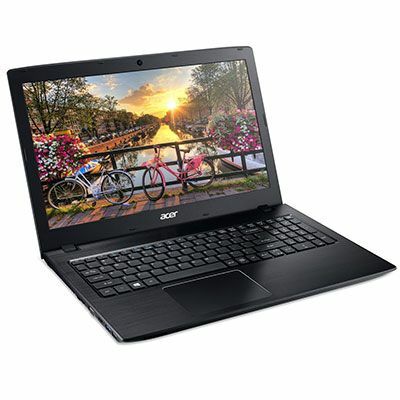 Instead, it relies on the integrated R7 graphics that are packaged with the A12 9720P. That’s to say, it’s not going to blow your mind when it comes to in-game performance, but it’ll do well enough regardless. Another slight downside is going to be the 720p display, however it’s not all bad considering this laptop will run games a lot better in 720p than it would in 1080p. 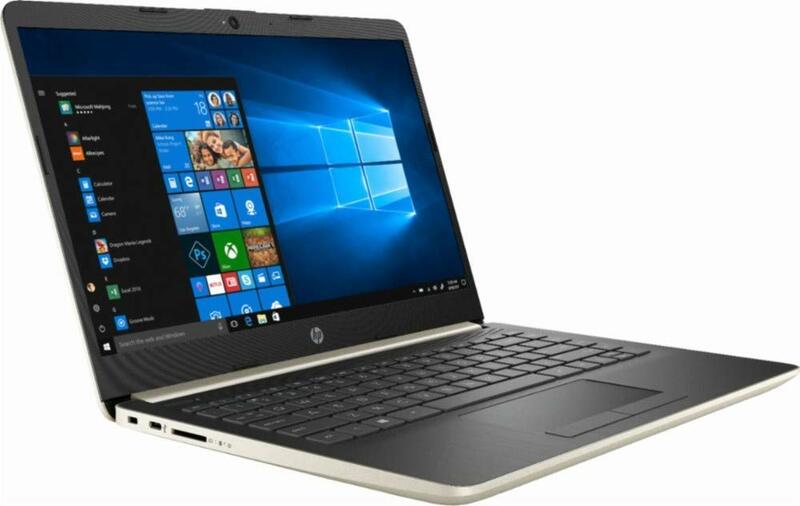 Overall, the HP 15-BW040NR is a good entry-level laptop with a modest amount of power. 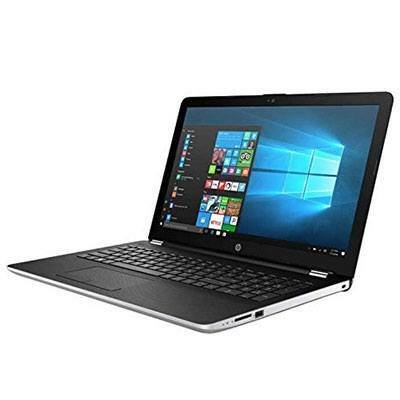 Popular games like Minecraft, and DOTA2 or even CS:GO would run well on the HP 15-BW040NR. If you’re looking to spend around $400 on a laptop to use for gaming, homework, and browsing the web, this one should be right near the top of your list! Comes with a backpack and a mouse! The HP 15-BS095MS is a slightly different version of the aforementioned BW040NR. Instead of 1866MHz DDR4 RAM, this one has 8GB of 2133MHz DDR4 RAM; and instead of just 1TB of storage, the BS095MS has a whopping 2TB! There’s also the more obvious difference in processors with the BS095MS running an Intel i5 7200u compared to the AMD A12 9720P in the previous laptop. Like all laptops in the sub-$500 price range, the BS095MS is more suited to 720p gaming than it is 1080p, so it’s not bad that it only has a 720p display. It’s probably not ideal for people who don’t game a lot and mostly browse the web, etc, but when you’re trying to go cheap you have to make some sacrifices! This laptop will have no problem handling light-duty gaming in titles like CS:GO, Terraria, Stardew Valley, League of Legends, DOTA2, and games like that. Where it will have issues is in more graphically demanding (usually AAA) games. Overall, if you need a ton of storage and good, fast RAM to handle multitasking, the HP 15-BS095MS should definitely be a laptop you consider! HP’s 14-CF0014DX is a great entry-level 14″ laptop that can work okay for gaming and will allow you to do anything else you would want to do on a laptop. Featuring a dual core i3 7100u processor, 8GB of DDR4 RAM, and a 128GB SSD, it’s one of the better specced options for less than $500. This 14″ laptop surprisingly only weighs 5.27 pounds but it still packs a punch and will run the majority of games on low-medium settings. Newer games, or games that are more graphically demanding will have some trouble running well on this laptop. If you’re in the market for a solid laptop in the $500 range that’s also going to work well for gaming, then the HP’s 14-CF0014DX (who names these?) should definitely be on your list of considerations. Lenovo’s 320-15ABR is a great entry-level laptop for gaming under $500. Not only is it under $500, it’s actually under $400! And that’s why it has our #1 spot even though it’s packing a lot of the same components as laptops lower in the ranks. You can’t argue with price, and the Lenovo 320-15ABR has an extremely attractive price to say the least. Like lesser ranked builds, the Lenovo 320-15ABR is running an AMD A12 9720P processor, 8GB of DDR4 RAM at 2133MHz and has 1TB of 5400RPM HDD storage. The display is relatively standard for this level of build at a size of 15.6″ and a 16:9 resolution of 1366×768 (basically 720p). It’s packing enough power to handle light-duty games, but anything that’s more graphically demanding than say CS:GO is going to have a hard time running well on this laptop. By well I mean in the range of 60fps, 30fps is completely doable in most games at 720p. Overall, the Lenovo 320-15ABR is a great entry-level option in terms of a laptop you could use for gaming under $500. It has a very attractive price and should not be overlooked as it compared to builds closer to the $500 mark! Not everyone can justify spending massive amounts of money on a gaming computer, especially if you’re going to school or you’re on a fixed income. But, that doesn’t mean you can’t enjoy some light-duty PC gaming all the same! Although none of these laptops are going to be the best for gaming on, they’ll still be able to manage games with CS:GO levels of graphics without an issue. Popular MOBAs will run well just like pixel-based, or most isometric-style games will run awesome as well. I’m talking games like Terraria, Stardew Valley, and even games like Oxygen Not Included. Something you should always keep in mind while gaming on a laptop is: don’t restrict your airflow. It might be convenient to put your laptop on a pillow on your lap or something and game out, but trust me, that’s a bad idea, and you’re slowly smothering your laptop. You should almost always use a cooling pad when actively gaming on your laptop, if not just a hard surface. Another addition you might want to consider is a good gaming headset. For that purpose, I’ve put together a list of the best gaming headsets under $100 and the best gaming headsets under $50! If nothing else, I hope this list of the laptops you can use for gaming while spending under $500 helped you in some way! If you’re not impressed by the level of performance you’re seeing in this list, check out the top 5 laptops for gaming under $1000! Have a question? Feel free to ask in the comment section! Hey Branton, any suggestion to play games like WoW, LoL, Rocket League and maybe fortnite? I really don’t know if any of those laptops above are good for that, but my budget is in the $500-ish, thanks for the awesome work! Laptops in the $500 range aren’t usually the greatest for demanding games like WoW – it’ll be hard (or impossible) to find something that’ll deliver a good experience without making major compromises in terms of both performance AND settings… Or gambling on a used laptop. That said… If you could possibly stretch your budget out to $650-$700 then your options are much less limited and you can actually get a fairly decent laptop for WoW. I’d suggest looking at the Asus FX504GD-ES51, it’s currently on sale for $650 (from $799) and comes with an i5 8300H, a 2GB GTX 1050, and 8GB of DDR4 RAM. Not the most mindblowing specs ever, but it’s a great laptop for the price. You are right, I didn’t realize how demanding WoW is and since my budget is a little low I can manage to get the Asus but I would say its a great laptop for the price. So what about a good laptop to play indie and low demanding games like LoL, terraria, Hearthstone, civ, cities skylines, rocket league and so on? Could I find a laptop that can run those games without being pricey? It can be quite demanding, especially during raids or in heavily populated areas. The processor is really decent for that level of laptop and the graphics are comparable to an Nvidia GT 1030, it also has a good amount of RAM (8GB) – it should even run WoW without too many problems (considering the specs). Anything lower than that and you’re going to start running into compatibility issues in a lot of games (Cities, Civ, etc) – some will even refuse to open, or will crash shortly after. That all said, this is one of the best times of year (if not the best) to buy used laptops due to people upgrading for school, or just buying new ones during the “back to school” sales. It might be worthwhile to check some local buy & sell pages/sites to see if you can’t snag a better deal. You might be able to find a laptop with a good 900-series graphics card and a strong processor for around the same as you’d spend on a significantly weaker current-gen laptop. Can any of these laptop run The Isle type games? Been looking for something, but I’m new to the gaming world. The best way to know if a game will run on a system is to check the game’s minimum specs. Unfortunately, the laptops in the sub-$500 bracket won’t work for a game like The Isle. You’ll need something with a dedicated graphics card, at the very least. Would any of these work for fortnite? Absolutely! All of them should be able to play it, just expect to run it in 720p for the best performance. Do you think any of these could handle fallout 4 on lowest settings? Good call! The Acer Nitro 5 is a great laptop. Now that takes me back! Any of these laptops should run CS:S really well. The lowest you’d want to go is the #5. Compared to the ASUS X550ZA you have here. And what are the top games it could run with best setting for FPS.